We have some really cool news today. We decided to add asynchronous Online Multiplayer™ to Mimics. This means you’ll be able to send your imitation selfies to your friends, guess theirs and even play with random strangers if you choose to do so. This works cross-platform on iOS and Android. Can you guess which one he imitated? Pretty much every bullet-point-list of advice for indies includes ‘don’t do online multiplayer’ and now we know why – it’s difficult and time-consuming. That’s why we didn’t want to announce it officially until we were confident that it would actually work out. So here we are, making an online multiplayer game as the follow-up to our debut and we’re really looking forward to see your reactions. Everybody should have a hub. As a consequence of having an online mode, Mimics will be free with ad-support instead of our initially-planned premium model. You’ll be able to remove the ads at the prize we originally planned to charge the app for, which we think is totally fair. 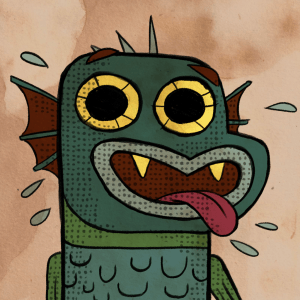 We’re pretty excited to announce a release date for Mimics soon, as everything is finally coming together smoothly. Stay tuned! E3 is a meat grinder. All the more happy I was to exhibit Face It! 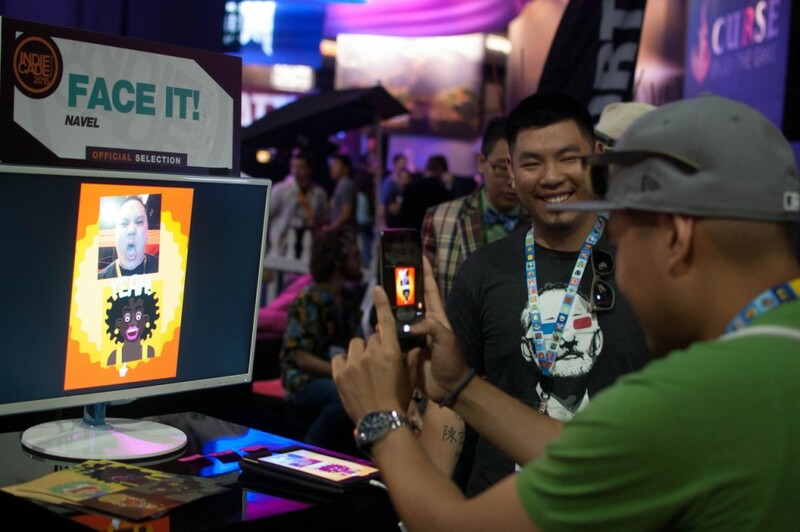 in an environment that formed a contrast to the otherwise noisy and harsh trade show that is E3: together with over 40 other indie developers, we had the pleasure to be part of the Indiecade Showcase. The Indiecade team did an awesome job in directing press (in our case mobile related) to the respective teams. That way I got to know youtubers, journalists and event organizers that were interested in exhibiting our game. So be prepared, Face It! might soon show up at a venue near you! 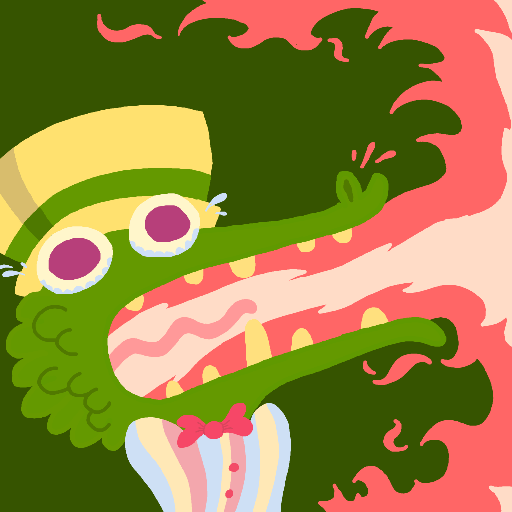 Until then we’re off, working on the game again! 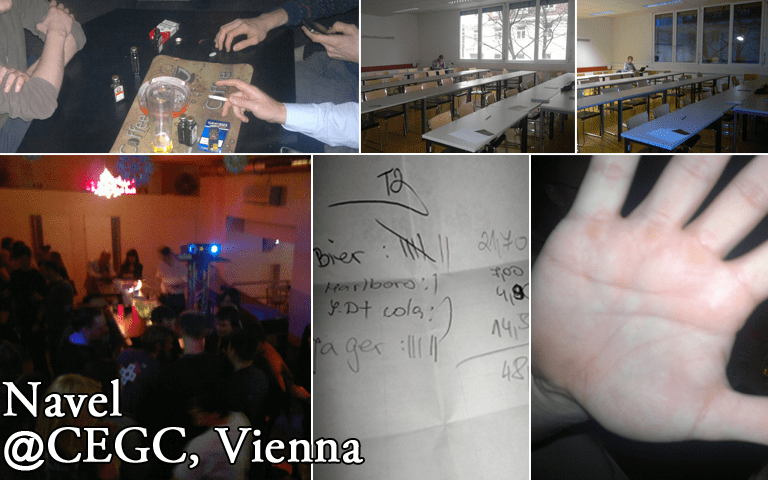 Since Fabian is ill and I have some spare time in the office, I make us of this writing a little post mortem about our booth at the Central European Games Conference. 4 nights of stay, 1 booth, the Global Game Jam and just hand luggage. Not possible? Of course it is! 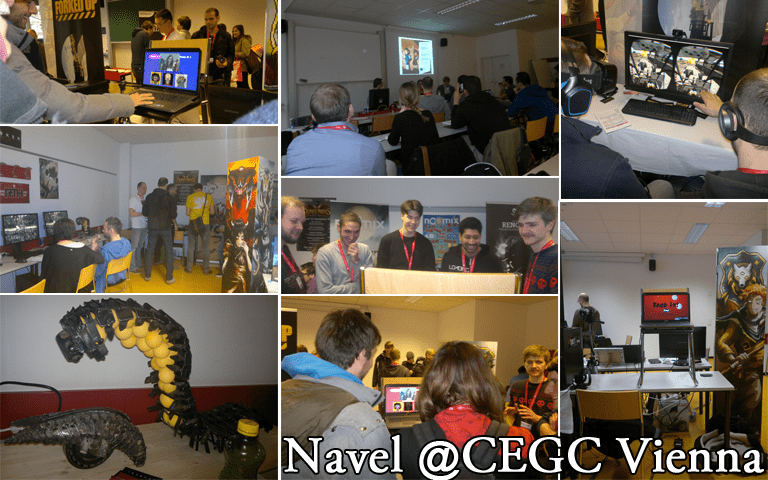 The conference took part during January 22/23 with two days of the Global Game Jam attached. 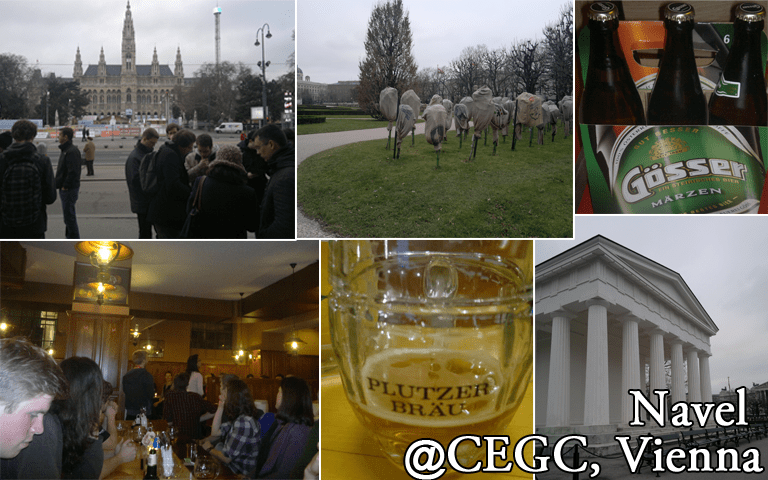 And beforehand one day sightseeing tour, organised by the CEGC-Team. 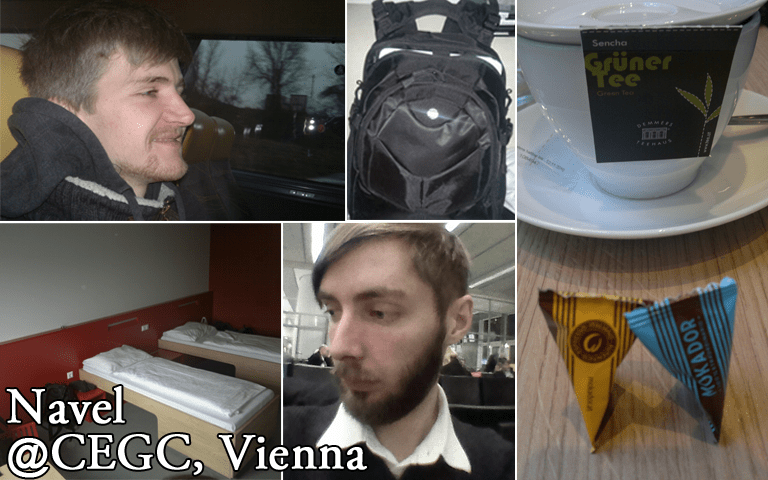 On the 21th we got up at 4:30 in the morning, catched our train to Stuttgart and were up in the air at 7:30 and had our first breakfast in Vienna 1,5 hours later. The sightseeing tour started in the evening and together with a POI-game app we got some nice insights on the austrian history. After the history lessons we visited the Game Shop Subotron, which has a very nice collection of retro games, consoles and other stuff. The first game studio on our tour was Broken Rules. Awesome guys. Lovely studio. 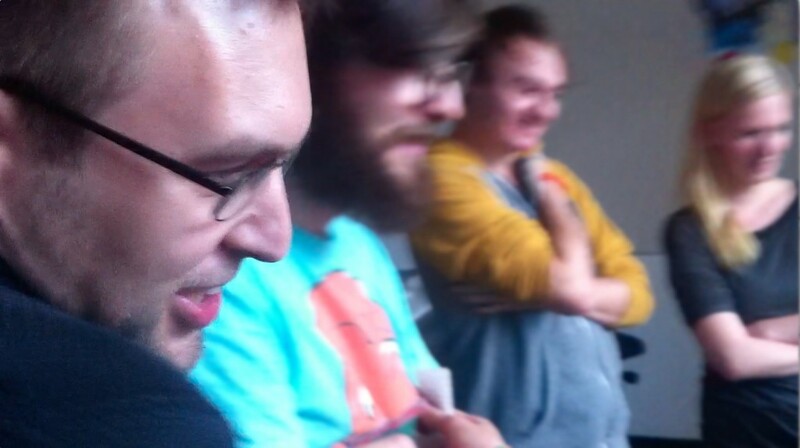 A few days ago our friends from Major Bueno visited them on their TourBueno to have a gamejam. You can view the result in their documentary. First indie, first bee – we get on a roll. Did I mentioned that we had a great hostel? Because we only walked 5 minutes to the conference! After Broken Rules showed us some games, they also told us a super secret thing. Oh oh oh.. But I’m allowed to present it to you – but only to you! 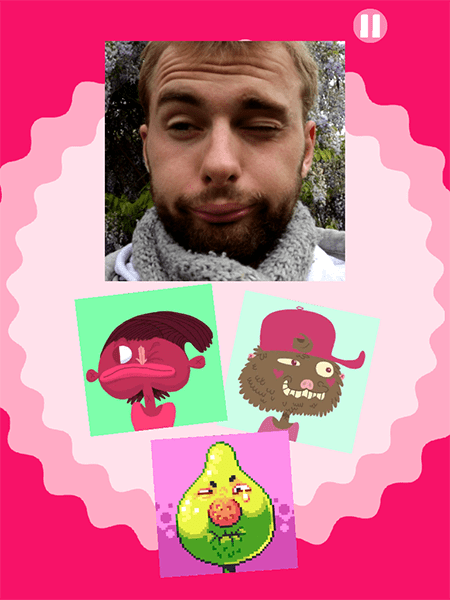 Nah, it’s already public: Their game “And Yet It Moves” got ported and published to iOS. Sorry Android. But there are a tons of other versions! Anyway we continued our way to our last studio: Cliffhanger Productions. Yeah, they are some of the bigger indies, but they gave us nice insights about their current productions, how they grew bigger and what their feeling about this is. And, there were beer. So don’t slow down, we are coming to the end of our tour, to gather altogether in a nice restaurant. Best thing of course: Free buffet for all attendees. But they made quite a profit from alcoholics. So don’t bother. At 00:30 we went home. On the 22th, 9:00 the first day of conference started. There were one lobby downstairs to hang out, get some coffee and snacks, three rooms for speeches and two rooms for the Indie Expo. As a rough estimate I would say there were about 30 booths altogether. The opening speech was attended by over 150 people and watches by more than 200 over the livestream. All the speeches were livestreamed AND published to youtube. That’s awesome! For us, we had a clear target on what we want to achieve. Since this was the first time, after developing our prototype about 3 months ago, to show off our game, we wanted to know what strangers will think of this concept. The most difficult circumstance we had to deal with: To have the best game experience, we needed at least 4 people – even we saw some people having fun playing it with just one friend. In the end, everytime a group played our game, they had so much fun and it was such a relief and incentive for us that the project can bring people together making a fool out of themselves with their friends. 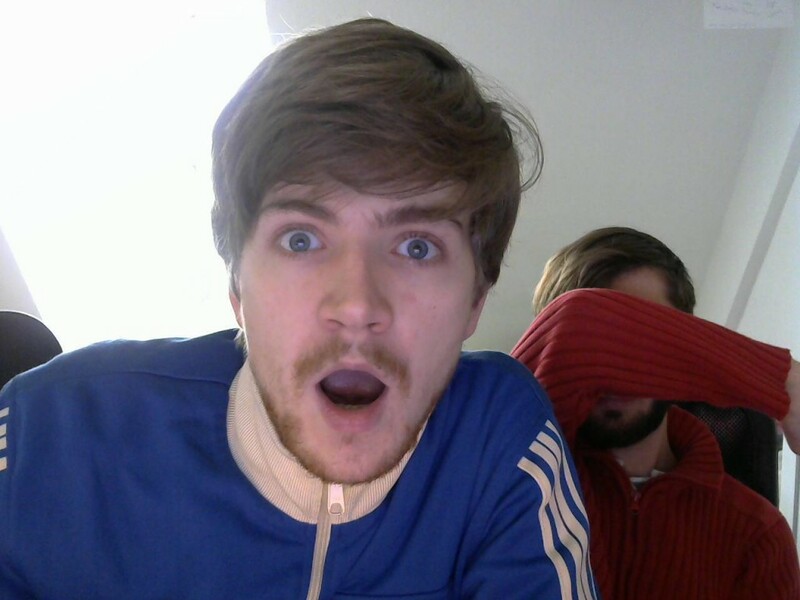 Get some pov-impressions of people playing our game here. Like every conference, each day it goes, the harder it becomes: To stay awake, stand tall, encourage people to play your game – instead of take a seat, drink some coffee and relax. That’s why I love drinking, ahem, being an exhibitor at conferences. So many people play your game and if you’ve done right, they will love your game and give you a very good boost to continue working on game even more than before. Go, CEGC, Go! We will definitely meet again next year! Last time we updated this blog, we talked about a certain game jam game. Today we’re happy to announce that this is going to be our next project! 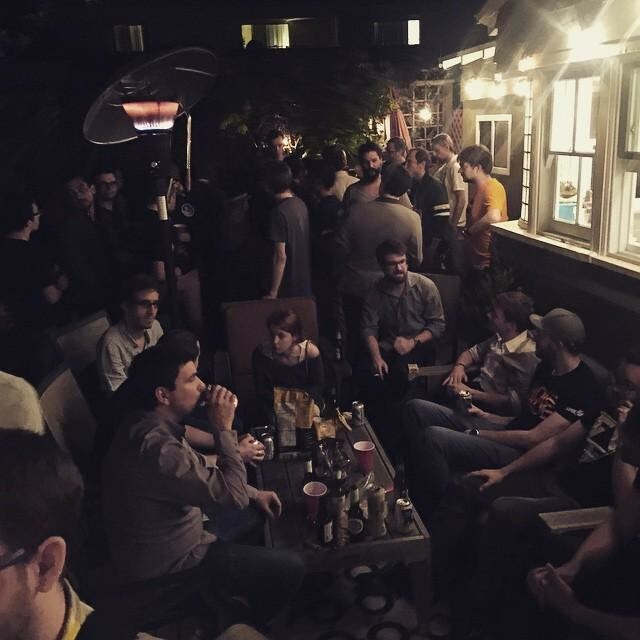 We believe in games as a medium to bring people closer together. That’s what our next game Face It! is about. Unconscious communication with facial expressions ranks among the most unique skills of human beings. Humans are experts at recognising feelings in the slightest change of facial muscles. We constantly scan our fellows for those changes and take pleasure in learning more about the inner life of our counterpart. This talent, which we all trained for all of our lives, is the basis of Face It!. Face It! 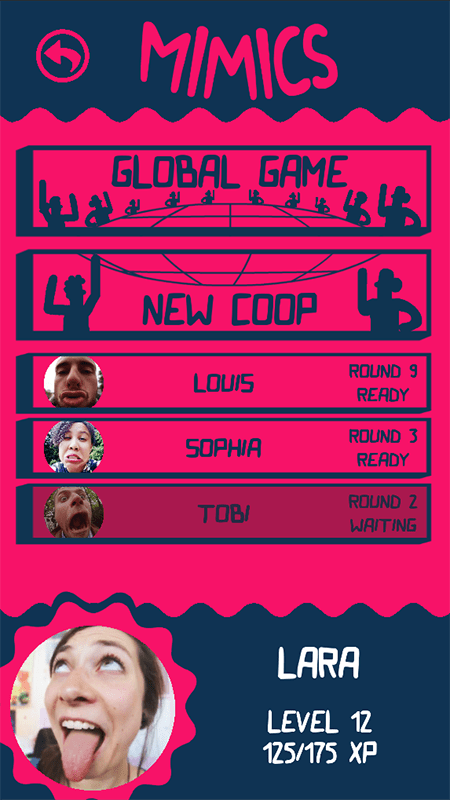 is a team-based, local multiplayer party game about making a fool of oneself in front of friends and family and watch them do the same. Players re-enact drawn faces, before their teammates must guess which face was portrayed. We want to bring people closer together in every way possible. First of all, we want to bring people together physically. Face It! works best when everybody is in the same room, being able to see each others facial expressions and the reactions on them. What’s exciting for us is being able to bring people together even during development. We’re looking forward to organize play sessions in bars, send early builds to local multiplayer enthusiasts and give you the possibility to play with strangers at game festivals all over the world. We’re also extremely happy to bring together the amazing artists Mareike Ottrand from Studio Fizbin, Lea Schönfelder, Marius Winter and Benedikt Hummel from Major Bueno and pixelartist Sven Ruthner to contribute faces, have fun and work with each other. Most of them are friends we came to like in the course of the last years and you are going to get to know them too, as we’re releasing sneak peeks of the faces they drew.